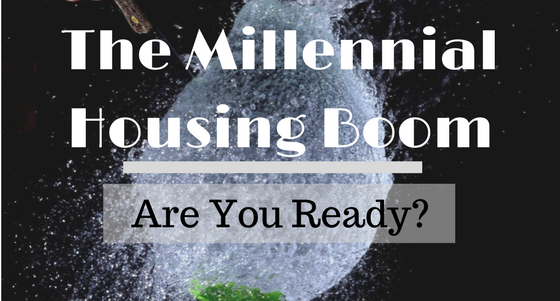 As you may have noticed, my articles are based on helping you market mortgage solutions to millennials. But why did I choose this topic, and why is the “biggest generation” so important for the housing market? Let’s talk data and shed some light on it. Hopefully by the end of my article you’ll realize that millennials should be your number one priority. The US millennial generation contains approximately 80 million individuals, which is almost 20 million more than the previous generation X. The estimated homebuyers percentage is 32%, out of which 68% are first time home-buyers. That is more than all the baby-boomers combined. According to TransUnion, a credit reporting agency and global risk information provider, we can expect a wave of 13.8–17.1 million potential first-time homebuyers to enter the housing market within the next five years. In early 2014, the home-ownership rate for those under 35 was 36%, the lowest it has been since 2005. But millennials may now be in a better position to enter the housing market due to the strengthening job market and the easing of borrowing restrictions. That, in connection with the rising rental rates and the enormous size of the generation, could be the reason for young people to start considering owning their own house and the reason for you to start marketing to them. Another TransUnion study supports these claims: When asked their primary concerns about the home-buying process, millennials said they are worried about having a low credit score (47 percent), not being able to fund a down payment (59 percent) and/or not qualifying for a low interest rate on a mortgage (56 percent), above all other concerns. This ambivalent and restless situation on the housing market will definitely take its toll on the Generation Y, the millennials. They have great potential, and although heavily burdened with the market development and economical decisions of the past, they have an enormous potential to become the rocket fuel of the housing market for the years to come, given the right guidance. And this is where the real bottom line comes: Now is the time to reach out to your current and potential Gen Y clients. Offer them guidance, hand out tips on improving their credit score, introduce mortgage plans tailored for people under 35, talk about how easy it is to get a loan with your help. Prepare for the millions of new home-buyers who are looking for you, and help them make the leap.